The Soft Lasers are cold lasers or low level laser systems. This class of laser is also often referred to as a healing laser and refers to very low powered lasers which have been designed to gently rejuvenate cells. Class 1 low level lasers are totally safe, versatile and work on a completely regenerative basis. Soft lasers have the ability to donate photon energy to cells. This stimulates the mitochondria organelle of the cells to make cell fuel, called ATP, Adenosinetriphosphate. ATP is the energy molecule which governs 80% to 90% of the cell's activities. Similar to how sunlight donates energy to plants in the form of photons to plant cells, the photons from soft lasers donate energy to cells. Sunlight stimulates plants and vegetables to grow faster and more efficiently. Soft lasers, in the same way, donate photons or energy which accelerate cell and tissue regeneration and repair. Soliton waves are extremely stable solitary self-organizing waves that can transfer a large amount of energy with a constant velocity and without loss or dispersion. Soliton waves resemble nerve impulses in the body. Soliton waves are an ideal means of transferring energy in living systems. In nature, soliton waves are used for communication in water by whales and dolphins. Sound can travel for immense distances in water using these soliton waves. Tidal waves and tsunamis are examples of oceanic soliton waves. 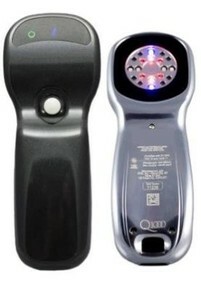 The Q1000 QLaser is a safe, class I laser device. 7 Healing Wavelengths. All the beneficial wavelengths Dr. Lytle uncovered during his research. Unlimited Healing Frequencies to personalize and program into the soft laser. 12 Laser Diodes. Patented engineering creates at least six Soliton waves which ensure the healing energy goes to any point in the body it is needed. 8 LEDs. This is the same technology utilized by the NASA astronauts! Computer Controlled Output. Over 100,000 lines of computer code control every aspect of your Q1000 to ensure maximum possible benefits. Small and Portable. History has proven that the best results for acute injuries occur when you laser immediately. The Q1000's "take-it-anywhere" portability ensures that you'll have it with you when you most need it. Internal Rechargeable Battery. Provides long usage times between charges. Standard "cell phone" type battery charger is easy to take with you. Industrial strength aluminum housing milled from a solid block of aluminum. Your Q1000 is made to last a life-time! Easy and intuitive 1-button operation. So easy to use, you'll be up and running within minutes of receiving your Q1000. Easy to read digital display. No guesswork about what is happening. World-class engineering. Your Q1000 is manufactured using state of the art equipment which allows us to use top-of-the-line component parts (so small you can hardly see them) ... with placement tolerances of only 1/10,000's of an inch! World-class components. Only 15 out of 1,000 diodes meet our strict quality control qualification guidelines to be used in your Q1000. World-class quality. In our entire history, we have averaged less than 1% returns for manufacturing defects. Every Q1000 is individually tested before leaving the factory. Made in USA. Your Q1000 laser is a step back in time to when buying a US-made product meant you were getting the absolute finest quality available anywhere in the world. Standard two-year warranty against manufacturing defects. Five-year extended warranty available for a small additional charge. FDA over-the-counter clearance. The only low level laser therapy system that has received FDA over-the-counter clearance for the treatment of pain and inflammation resulting from osteoarthritis of the hand! Safe. The 660 Flash Probe (660 FP) is a Class IIIa laser device - as safe as a common laser pointer. Patented technology, systems and uses. The 660 FP and Q1000 combination are patent pending for use for osteoarthritis of the hand. No other laser company can make treatment claims for osteoarthritis of the hand, and you can only get these benefits through QLaser! One, 660 nm, 50 mw laser diode. Red laser diodes have been proven beneficial for a variety of conditions through 25 years of clinical research. Unlimited frequency. Customize your 660 FP for your specific needs with an unlimited selection of frequencies - right from the comfort of your own home! Patent-pending QCard system allows your 660 FP to actually become multiple devices - entirely customized for your specific needs. Built with the same focus on quality as the Q1000. Manufactured from a solid block of aluminum. 900 delivery angle of the head makes getting to those "hard-to-reach" areas easy. 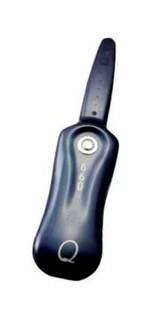 Same intuitive one-button operation as the Q1000. Same two year or extended five year manufacturers warranty. The most stimulating of the QLaser product line, the 808 Flash Probe (808 FP) is just the ticket when higher energy levels are needed for bone, cartilage, tendons, ligaments or nerves. It features one 808 nm, 500 mw laser diode, and is controlled and powered by the Q1000. Effective – this type of near-infrared wavelengths has been proven effective through countless research over the past 25 years. Safe – Classified as a Class IIIb laser devise, it is extremely safe when utilized according to instructions. Customizable – Patent-pending QCard technology allows you to completely customize your 808 FP to your specific needs. Unlimited healing frequencies.... All without leaving the comfort of your own home.